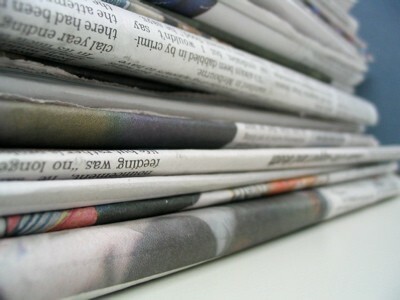 Newspapers are a tool used to gain insight and information into the happenings around the world. Be it in any language, newspapers are a tried and tested source of information that have survived the test of time. In the day and age of social media and live-time news, one may argue that newspapers are losing relevance. But let’s be honest, one’s day is not complete till the morning papers have been read! A newspaper contains several beats. Crime, City, Politics, Science and Technology, Business, Entertainment, Sports, Travel, Education etc. are examples of such beats. Politics, Crime and City are beats that are fill up majority of the space in a daily. Now, let’s take a look at each section and get to know what it covers. Politics: There can never be a day when there is nothing substantial to report on politics. Therefore, it only follows that a newspaper dedicates substantial space and columns to this topic. Right from party politics, to complete election coverage, to political under-currents in the country, a newspaper covers them all. City: The city section of any newspaper is of utmost relevance to the people who reside in that particular city. This section covers *everything* that is happening in the city: from local travel problems, to crime, to infrastructure issues, lifestyle concerns and so on. Crime: This particular beat showcases the victims and perpetrators of all kinds of crimes. Be it city crimes, or ones that capture the imagination of the nation (like the Aarushi Talwar murder case), the crime beat reports them all. It also focuses on what the police/community are doing to combat crime and to rid the city of it. Science and Technology: This beat includes research work and contribution of scientists to the field of science and technology. This beat covers less space as it does not excite the layman much. However, there are regular columns on technological and scientific developments that have the potential to change the world. Business: An extremely important beat, the business section provides us with news on the stock markets, world economies, and the general on-goings in the world of business. It also publishes interviews with business leaders and their expert take on all that is happening in the business world. While there are business newspapers which everyone in the business community subscribes to, the dailies give substantial space and importance to this beat. Entertainment: Given India’s obsession with entertainment and sensationalism, most newspapers are succumbing to the demands of the customer and feeding them exaggerated news. Newspapers that offer ‘spiced up’ news are quite in demand. Since, not all news can be packaged as gossip, newspapers give ‘free’ supplements along with the main copy that are filled with ad-hoc gossip, rumours and popcorn information. Bombay Times is the best example of such a supplement. Sports: This beat covers the last pages of any newspaper and will mostly be filled with cricket news (that is if India is playing). However, with the increased interest in different sports, more space is being dedicated to football, tennis, F1 and so on. Newspapers are now making sure there is something for every sports lover! Editorial: This is the page in a newspaper that is read by almost everyone. The editorial contains opinions by various experts, the editor and people of knowledge on a variety of current issues. These steer away from merely reporting and go on to give opinions and advice on a particular topic of concern. While a newspaper may choose to cover some beats and ignore a couple of others, the above mentioned ones are sure to find a place in all dailies.